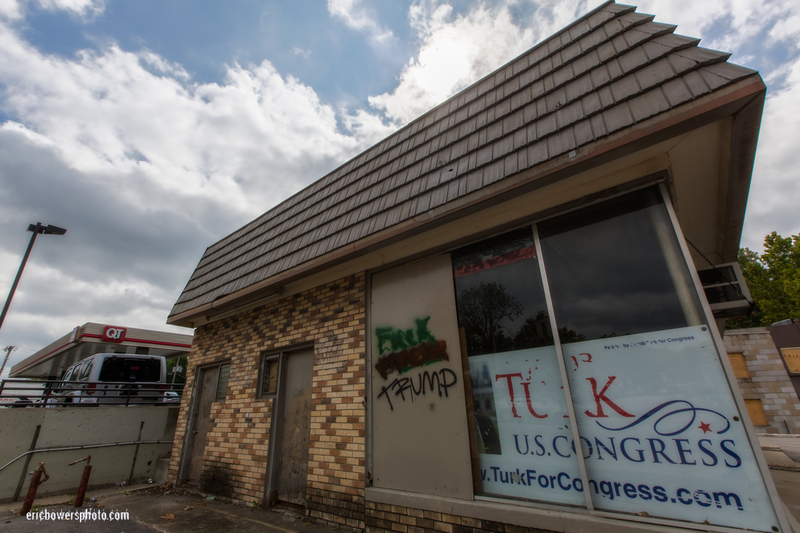 Trump-ism and Anti-Trumpism Wall Scrawl at Kansas City Westport Road; the former Murphy’s Texaco of the 1980s and 90s. I’ve been yapping forever to whoever will listen that the Pizza 51 people should buy the property and call it Pizza 43. Perhaps I should tweet at them.